Elegance, Class and Sophistication combined into one. 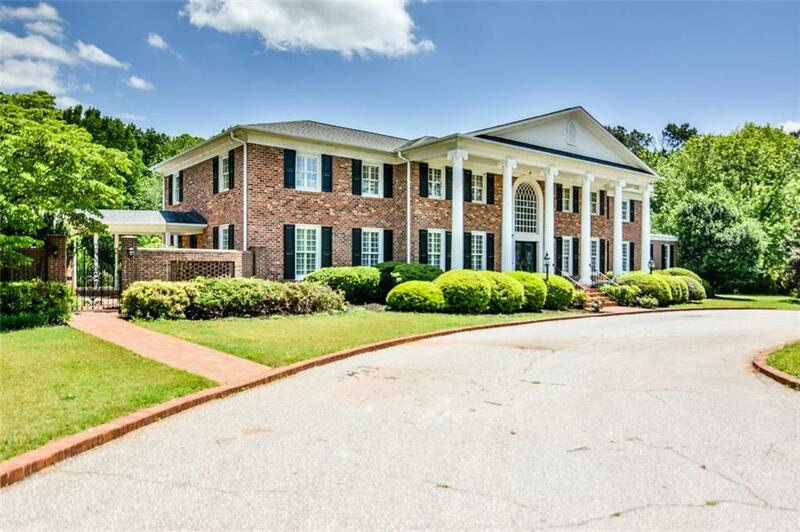 The most magnificent home in Anderson County located in Pill Hill Subdivision. This 7200 sq ft.home with private gate and 15 acres of fenced property (one mile of white fence) l with 2 stall barn with tack room, electric and water. A gunite Olympic size pool ( The only private Olympic size pool in Anderson County) with pool house, kitchen, shower room and full bath. This amazing home will WOW you at the moment you step onto the large front porch with 18 ft columns. When you open the beautiful double doors you are greeted by the grand staircase with custom banisters and a flared design, it is a piece of artwork, surrounded by beautiful onyx marble floors with white inlay. This home offers 7 very large bedrooms, with a magnificent master suite fit for royalty with its enormous foot print on the main level with wood floors, plantation shutters, a fire place and sitting area. The large master bath has two large walk-in cedar lined closets, double sinks, door less walk in shower and large tub. The home offers a large study, 2 living areas on the main floor with a absolute amazing Great room with 18 ft ceiling, floor to ceiling windows and fireplace, beautiful Italian tile floors with mahogany inlay and custom mahogany built-in media cabinets and wet bar. The kitchen is another center piece room of this grand home, with a large breakfast room with built in leather bench with mahogany cabinets on both sides along with a private dinning room with plantation shutters and alabaster chandelier and open to the cozy sun room overlooking the pool. The kitchen would be a chefs dream with custom mahogany cabinets, built in leather bench, black granite counter tops, Jenn-Air 6 burner cook-top with cast iron griddle and dual heat, 2 large Amana refrigerators. On the main level you will also find a half bath, large laundry room, with sink and another full bath. This home offers 2 stair cases for your convenience to the upstairs, with 6 very large bedrooms with plantation shutters, built ins.and beautiful wood floors and 2 full baths with double sinks and wall mounted toilets. The perfect location for your family Located in one of the Upstate most sought after school districts conveniently adjacent to the developing SC81 corridor only 1 mile from Anmed Health Campus and just far enough off the beaten path that you'll feel like you pulled up to a country plantation miles from town. Turn down your private drive and leave the world behind you as you enter your own personal sanctuary. 24 hour notice is required for showings and qualified buyers only. Call Listing Agent for Private Showing Today.